After graduating from Tidewater Community College in 2014, Tatiana Britt felt like she could take on the world. “If I could choose five things I’m most proud of in life, one of them would be going to TCC,” said Britt, who earned her Associate of Science in Science at TCC, where she was also the recipient of the Dr. Martin Luther King Jr. Scholarship Award. Britt, who entered TCC as a high-achieving graduate of Western Branch High, went on to earn her bachelor’s in communication studies from the University of North Carolina at Chapel Hill. She’s only in her 20s, but her resumé rivals colleagues with a decade or more of experience. After college, Britt moved back home to Chesapeake to participate in Eastern Virginia Medical School’s Summer Scholars Program. During the 11-week program, Britt completed a professional development project, requiring her to present her results to EVMS’ top public health researchers and medical professionals. That opportunity led to another at Girls Inc. of the Greater Peninsula, a Portsmouth-based organization that celebrates and empowers young women. Britt was program manager for a leadership institute for teens, which focused on everything from professional development to business etiquette. Britt thought graduate school would be her next stop. While completing her admissions applications, she asked her aunt to proofread her personal statement. Britt followed the advice and applied to the Congressional Black Caucus Foundation’s internship program. She began work for Sen. Tammy Baldwin (D-WI). A second internship with Rep. Bobby Scott (D-VA) allowed her to remain on Capitol Hill. From there, she was accepted into a yearlong diversity fellowship program at FleishmanHillard, a global leader in communications with more than 80 offices in 30 countries. Britt works in the Washington office contributing to multiple projects in public affairs while being mentored by seasoned professionals in the industry. She receives both a salary and benefits. 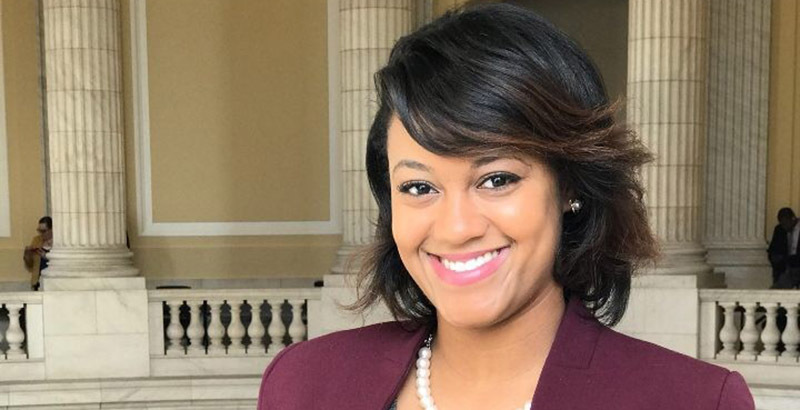 Britt’s long-term ambitions are to become a communications director on Capitol Hill, ideally for the Congressional Black Caucus. She also has aspirations to work in the White House under a Democratic administration and for the NAACP. Every chance she gets, Britt said, she brags about TCC. “The support system there was unlike anything I had ever experienced,” she said. “All the professors were invested in me. They wanted to see me succeed. I got to know the provost.